Paul Nathanail, Chair, Bramcote Neighbourhood Forum, writes: Notts County council will discuss at its next Policy Committee meeting (on 14 November 2018) a revised approach to disposing of land assets and a joint investment in a new [actually it is a replacement building] Secondary School at Bramcote for the White Hills Park Federation Academy Trust. The County seeks to claim that this will support the delivery of new homes in line with the emerging Broxtowe local plan but of course the reason those new homes are needed are to pay for a replacement school building. The County is looking to set aside £500,000 to support the “a revised approach to disposing of land assets and a joint investment in a new Secondary School at Bramcote for the White Hills Park Federation Academy Trust.” The County Council is seeking to reverse its decision of October 2017 to proceed with what it calls “ a complex land transaction “. The new proposal is for the County Council and the WHPF Trust to work together “ to release value from land held by each as freeholder and leaseholder respectively by disposing of land to a developer or developers with the benefit of planning permission for housing.” (my emphasis). It is not yet clear who will pay for or own the replacement school buildings and the strong views of local residents are that such infrastructure should remain in public ownership – not least because it is going to be paid for by the disposal of public assets. If Bramcote is going to pay the price for loss of green belt then the school infrastructure should remain in public ownership. There is no mention of provision of land or funds for a replacement leisure centre, in line with the emerging Neighbourhood Plan, but there is mention of the Academy relinquishing land for an expansion of the Bramcote Hills Primary School. 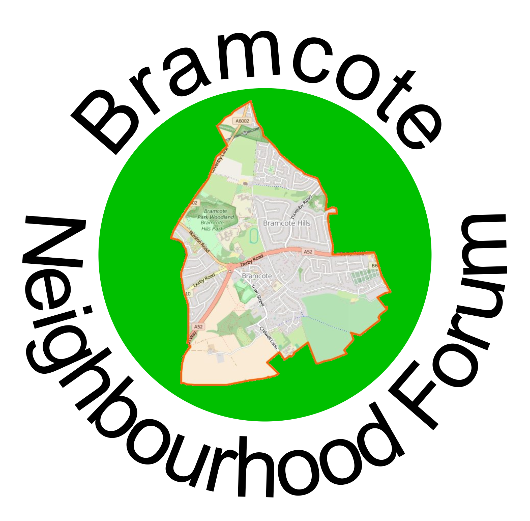 There are many details that have not been made public and there is reference to an Exempt Appendix of information so it remains to be seen to what extent the Academy and the County have listened and responded to strong representations made on behalf of Bramcote residents by the Neighbourhood Forum in recent months. Nevertheless this is a good sign that the County is willing to reverse previous decisions when they are found to be unworkable. Next Roadworks Town – Street – tomorrow! This seems to address one of the issues (giving away public land) but I am still waiting for a response to questions about traffic congestion and infrastructure – the new shops, schools, etc – which will be needed to service another 500 households. Someone MUST have thought about the impact on traffic and subsequent impact on air quality? 2. If roads such as Derby Road and Ilkeston Road get busy (? ), motorists will change their behaviour by working from home/flexible working/use of public transport and cycling. So that’s sorted that problem out hasn’t it? Minimal congestion and air pollution solved. I did wonder, just as an example, how the various clinics and wards, ITU, labour ward etc at the QMC would deal with requests from staff for working from home. But maybe that’s just me being a bit of a dinosaur. I must agree with Julie Wright ,and register myself as a bit of a dinosaur, Will everyone living in these new houses be within walking or cycling distance from their workplace? Will transport providers introduce new services to all of the varying areas where people may work? How many of todays workforce is it practical for them to work from home? besides hospital workers ,manufacturing .transport (both delivery and passenger) retail and engineering and I would suggest need most workers to be away from home. Not all work from an office desk with a computer to hand. So, it seems likely that traffic will increase. At peak time Ilkeston Road is at a standstill now and as this seems to be the main exit route from Coventry Lane to elsewhere with the Field Farm estate also contributing to the extra traffic, It is noted that the TrentBarton route 21 is due to be reduced to an hourly operation and currently there is no service along Coventry Lane.